Diet soda does more harm than good! After further discussion and reviewing his dietary history, I realized that he had initially omitted an important fact. He had failed to mention that he drank enormous amounts of diet soda. He drank almost a gallon of diet soda per day! Drinking diet soda quenched his thirst, and time tasted good. He got bored drinking only plain water. He had convinced himself that diet soda was healthy since it had few calories. However, he feared his diet soda habit was becoming an addiction. In my practice as a clinical nutritionist, I know that diet soda can become a very unhealthy habit. Clients often overlook the negative results of drinking too much diet soda when they want to lose weight. When they overindulge with over-sized portions of food, they think they can compensate by drinking diet soda, saving calories, and alleviate any guilt about cheating on their diet. Is this really healthy, or are they really compensating? If you read the back of a diet soda bottle, how many ingredients can you pronounce, much less understand. Some of those unpronounceable chemicals are definitely not good for you. That’s not all. 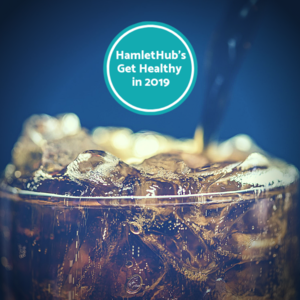 When you drink diet soda, it may satisfy your craving for sweets, but even though it is low in calories, the artificial sugars in it create problems. Our bodies do not know if the sugar we ingest is real or artificial. When you eat something sweet, your body reacts by releasing insulin, an important hormone that regulates your sugar levels. When you consume artificial sweeteners, your body still releases insulin, but since you didn’t have the extra calories, your blood sugar level drops. When you do this regularly, your body starts to produce less insulin when you eat something sweet. Then, when you consume real sugar, your body doesn’t know if it should try to process it because it’s been tricked so many times. You’ve unbalanced the entire system. Diet soda drinkers tend to pack on more pounds than those who don’t. The intake of artificial sweeteners may give reward signals to the brain. These false signals encourage you to overindulge. When I worked with my client, I explained the ramifications of drinking large amounts of diet soda over the long term. I recommended they he try the many healthy alternatives. I encouraged him to start by replacing every glass of diet soda with a fresh iced mint and lime juice beverage. By making minor changes in his diet, my client yielded remarkable results. He no longer had yearnings for diet soda. He woke in the morning feeling refreshed and energized. He no longer had the aches and pains that had plagued him. He was no longer addicted to diet soda. He now enjoyed his iced mint and lime juice. This is not a unique problem. Drinking large amounts of diet soda satisfies the thirst and tastes oh so good! However, the hidden culprit may become addictive. The idea of moderating or eliminating diet soda from your diet may seem daunting. But diet soda may do more harm than good. Knowing the risks can motivate you to consider the alternatives. Once you start to eat better, choosing healthier foods and keep active, you will begin to feel better. It’s something you will want to do for the rest of your life. Specializing in personalized meal plans for all nutritional needs.